This retelling of “Pet Sematary” has minimal changes from the original story that some may find startling, but nothing that changes the overall storyline. The story is still about a family that moves from the big city to a small town house near a creepy pet cemetery, which they would later come to discover was an Indian burial ground. 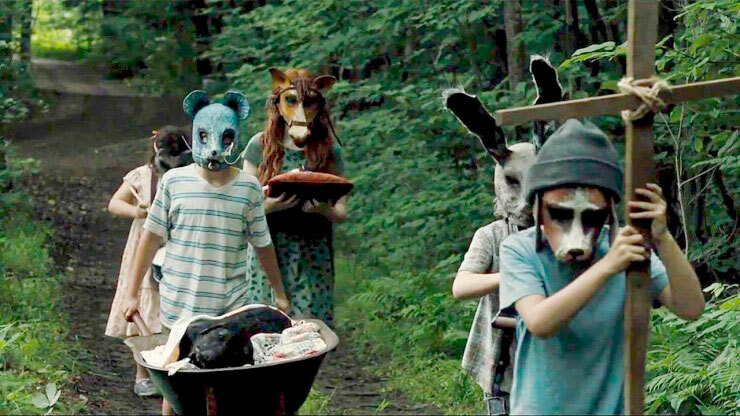 This remake, however, gives the audience who have seen the original 1989 “Pet Sematary” a slight unexpected twist. According to The New York Times, the producers of this remake gave the script to Stephen King with the new twist to look over. To their surprise King approved of the changes. King said both versions result in the same chain of events. King also said he did not favor one version of the story over the other, but acknowledged that the remake version was probably easier to film. While the movie is not perfect, it is good and deserves some credit. It is not often that we get a decent remake. In some ways the directors did a few things right that were an improvement from the 1989 movie, which was well liked at the time it came out, but not a masterpiece. This new “Pet Sematary” introduced the story right from the start and established a good pace for the movie that didn’t feel too slow. This helped set a creepy tone right from the beginning and by the third act it gets much more intense. In the 1989 “Pet Sematary” on the other hand, there were times where it felt like it dragged. In the remake there is more information and creepy imagery introduced about the cemetery that hadn’t been shown in the previous 1989 movie. This helped build even more tension and creepiness. This movie also explored topics such as grief, the choices people make when they’re hurting, destiny, irony of good intentions and how far a parent will go for their child. While these were topics lightly discussed in the 1989 movie, the remake had a cast that was better able to perform these deeper scenes. The previous movie had a few performances that felt cheesy at times. Technology is much more advanced today than it was in the late ’80s, so it is no surprise that the cinematography and sound design were better done. With that being said, there are a few things this remake could have improved upon. In particular, the lack of scenes with Rachel’s (the mother) late deformed sister haunting her. This side plot should have either been shown more or been eliminated entirely. The way it was done in this remake left the audience with a feeling that more scary events would happen, but it wasn’t completely delivered. Since this is a side story happening while the main story plays out, it doesn’t completely ruin the whole movie. It just feels like a missed opportunity. Another improvement would have been to leave the ending on a cliffhanger rather than show what really happened. It would have given the audience a little more to think about. Despite those minimal issues, this remake is one of the better ones and should receive some praise just for that.